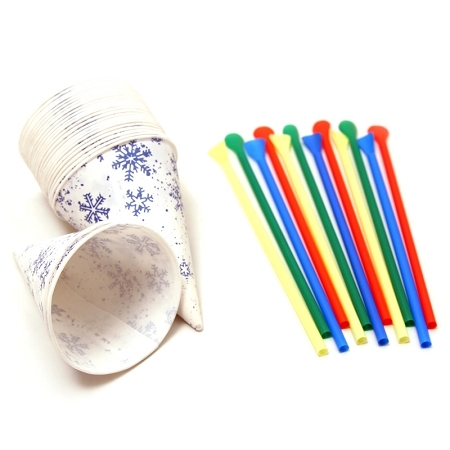 Our Cone Cups and Spoon Straws package includes 25 heavy-duty 6 oz cone cups and 25 spoon straws. An essential package to have for serving and enjoying a tasty refreshing shave ice treat. Copyright Hawaiian Sweet Islands. All Rights Reserved. eCommerce Software by 3dcart.